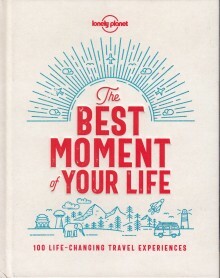 Familiar faces from the world of travel, plus Lonely Planet writers, share their most remarkable, poignant and memorable experiences from the road – moments that changed them as individuals and reshaped their perspective on the world. Tales includes a Rwandan gorilla encounter, reincarnation on the Ganges, horse riding with Patagonian gauchos, witnessing Nelson Mandela’s first free speech, watching a space shuttle launch, crossing the Gobi desert on foot, and a son journeying with his mother back to Alexandria, the city of her childhood. Destinations include Monument Valley Navajo Tribal Park in Utah, Cape Town, Gir National Park in India, the Western Wall in Jerusalem, Carnival in Rio de Janeiro, the Trans-Siberian Railway, Antarctica, Samburu National Reserve in Kenya, Samye Monastery in Tibet and Madagascan forests. With each story, you’ll get a powerful account of how the experience unfolded and what it was like to be there, right at that moment. A ‘Build Up’ and ‘Take Away’ complete the story, detailing how the moment made a lasting impact on the contributor’s life.